Responsible Capitalism is not about straightforward philanthropy made possible by success in business – though well-focused philanthropy is admirable in its own right. Nor is it simply the adoption of some aspects of Corporate Social Responsibility within businesses otherwise driven by profit maximisation models. Responsible Capitalism requires a fundamental integration of the needs of the wider community, care for the communities in which the business operates, environmental initiatives and support for the arts and culture, with the business’s goals and processes. 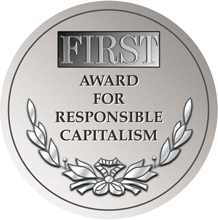 Above all, it is about how successful business leaders apply the principles of moral and social responsibility in the running of their business, combining social commitment with business acumen and innovation, and building a coherent philosophy in which the company’s success is judged over the long-term by criteria that include sustainability, equity, and moral justice as well as standard financial benchmarks. Against the background of global political and financial instability the moral aspects of competitive free markets and the globalised economy are being subjected to a thorough examination. Indeed, many would consider the conjunction of the words ‘Responsible’ and ‘Capitalism’ to be contradictory. 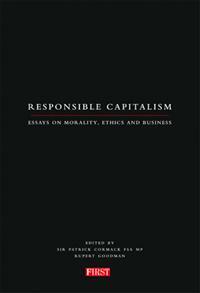 It is not surprising that business and political leaders are calling for a new kind of ethical capitalism that is built on a broader set of values than short-term gain: that capitalism needs to operate with more responsibility and with greater regard for the moral and ethical dimensions. The question is also about achieving the right balance of responsibility between government, institutions and individuals.